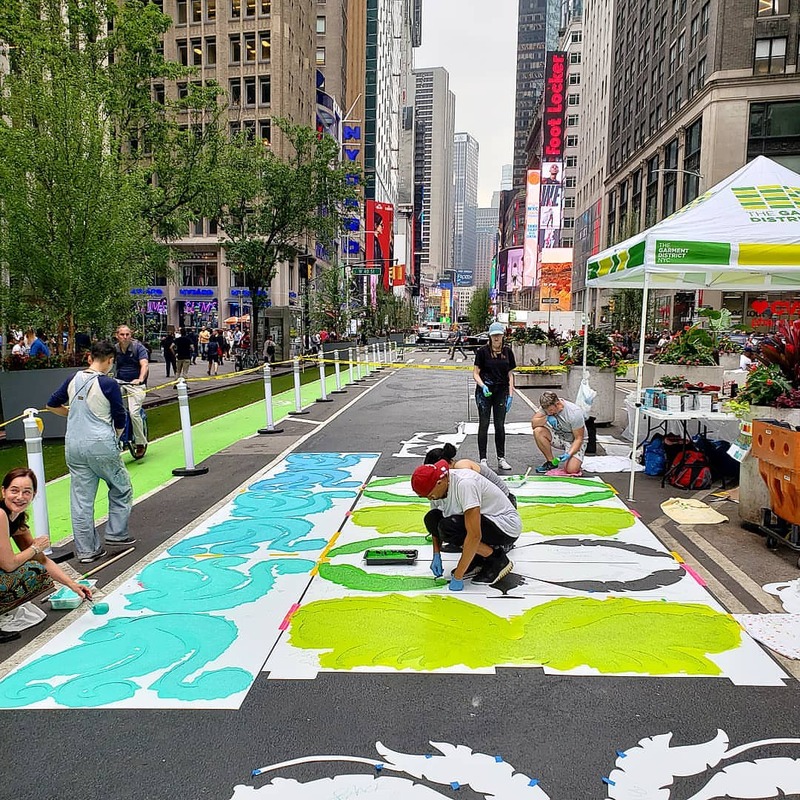 The Garment District Urban Garden returns on June 7th, with a brand new 400 foot-long art walk mural by artists Nancy Saleme and Patricia Cazorla. 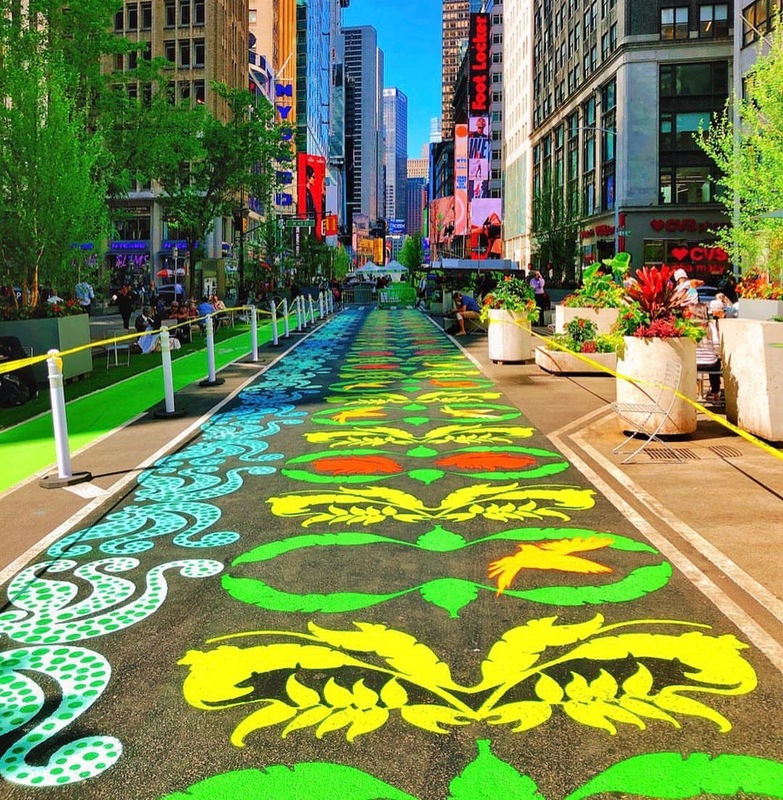 The Garment District Urban Garden opening event will kick-off two months of a greener Broadway, with more public seating, free fitness classes, the six-week UrbanSpace Garment District food market and the colorful new mural. Join the Garment District Alliance for the Opening on Thursday, June 7th from 11am to Noon on Broadway between 39th and 40th Streets. You’ll be treated to free cookies and lemonade, as well as a special performance by Jennifer Muller/The Works dance company. 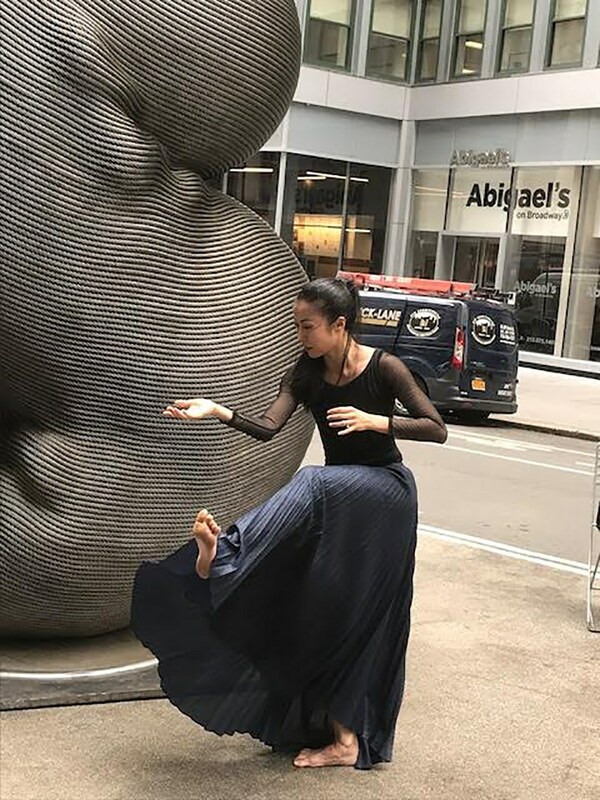 …..And ~ a reminder that this coming Tuesday, June 5th, the public is invited to the final presentation of “Conversations with Rebirth” by acclaimed dancer PeiJu Chien-Pott on the Broadway Plaza between 37th and 38th Streets from 7:00-8:00pm.